Thanks to your feedback, Swimia has become in just a number of months one the most significant sites of swimming pools. Here you might have all the info we know about H.G.R. Mews Community Centre, in St. John's. Do you realize the opening hours? Are they offering any course? What's the cost to get a single swim? Don't forget you can also promote this pool so H.G.R. 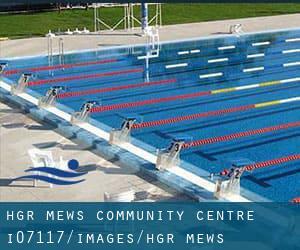 Mews Community Centre will appear the first of St. John's, or perhaps the very first of one's country, contact us to know more. Swimmers like you reported 25 meters x 18.5 meters, 6 lanes, Indoors. Phone number and email address are number for this Pool. 644 Topsail Road , West End , St. John´s , NL , CANADA (Postal Code: A0R 1AO). Among all the activities offered by the centre, if you're thinking about swimming you can expect to appreciate 65 feet x 15 feet, 3 lanes, 4 feet depth, Indoors. If you need to contact this Pool, email address and phone number are both number. Westerland Rd. , Memorial University of Newfoundland , St. John´s , NL , CANADA (Postal Code: A1B 3R7). This sports centre offers 65 meters, 8 lanes, Indoors. Contact info for this Pool just like phone number and email address are number. Updated on 2019 47 Gleneyre St. , East Meadows , St. John´s , NL , CANADA (Postal Code: A1A 2M8). Among all of the activities supplied by the centre, if you're interested in swimming you are going to enjoy 18.5 meters x 40 feet, 4 lanes, Indoors. If it is advisable to contact this Pool, e-mail address and phone number are both number.